The mountain retreat of Mughals and Buddhist lamas; the Alps of India; Jehangir’s Valley of Paradise. All these terms have been used to describe Kashmir, one of India’s wildest and most controversial tourist destinations. The state of Jammu and Kashmir often represented as "Heaven on earth" has so much to offer that simply words cannot describe it. One has to see in person, the magnificent snow-capped mountains, the luxuriant woods, the sparkling rivers and the serene lakes of the state in order to believe it. Jammu and Kashmir can be separated into three regions, namely: The foothills of Jammu, The Kashmir Valley and The mountainous Ladakh. These three regions are remarkably different from one another in terms of natural features, customs, faith and climate. So the tourist attractions in Jammu and Kashmir not only lie in the outstanding sceneries, but also lie in its cultural distinction from one region to another. 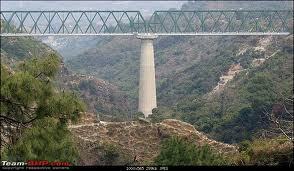 Jammu is a city that is considered as a paradise on earth. The city is divided into two parts old and new city. The city has a number of temples wrapped in age-old myths and quite a few forts and palaces. Jammu, the Dagger land where the past still has a living presence. A land of grand ancient temples, and beautiful palaces, all nestling in the foothills of the Himalayas. It is said that, on becoming King, the Suryavanshi Jambu Lochan went on a hunt and, crossing the Tawi, found a deer and a tiger drinking water from the same tank. His ministers explained that this meant that the soil of the place was so virtuous that no living creature bore enmity against another. 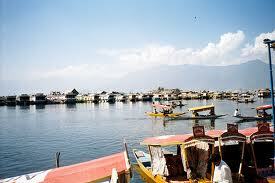 As one of the wonderful hill stations in Jammu region, its name is taken from small local lakes 'Sana' and 'Sar'. This town is surrounded by huge conifer trees and has beautiful view. This place has achieved lots of tourist attention in recent times and provides an excellent spot for adventure sports. Popularly known as "Mini Kashmir", the town is gifted with awe-inspiring views and charming beauty due to striking woodlands and gleaming streams flowing through different parts of the town. It also has many historical and religious places. 14 km from the town of Katra, the famous shrine of the Goddess Vaishno Devi is considered one of the most sacred places of worship among the Hindus. One of the key hill stations in the region, it is famous for its adventure sports like skiing in winters and in summers it offers paragliding rides and picturesque picnic spots. As the summer capital of the state, Srinagar lies on the banks of the Jhelum River and is famous for its Mughal gardens, tranquil lakes and lush green meadows. There are lots of tourist attractions in the city like Shikaras (houseboats), shrines and traditional handicrafts markets. Gulmarg is well known for its amazing natural beauty and it is counted as one of the unique tourist destinations in the world. Gulmarg is surrounded by dense forest. This place is famous for its golf hikes and beautiful highland golf course. The 'heartland of winter sports in India' is a beautiful town surrounded by splendid snow covered mountains famous for skiing and trekking. It's an ideal place for adventure lovers. At an altitude of 2690 m, it has the highest green golf course in the world and a ski resort for the winters. The location is also used for shooting movies and songs. Situated at the River Lidder, Pahalgam is a hill station with incredible beauty. The place serves as a base camp for the famous Amarnath Yatra. One can experience the sensational view of the valley with its pine forest, snow capped mountains and green pastures. The flowing water of River Lidder complements the Backdrop of the valley. The meadow of Gold, Sonamarg is a hill station with natural picturesque beauty, marvelous landscapes, gushing rivers and snowy forests. It's definitely an adventurous place for treks, skiing, white water rafting etc. Covered with alpine forests this place has the most unique collection of flowers and one can also find blue water lakes at this place.